Want a fun and easy way to practice shapes? 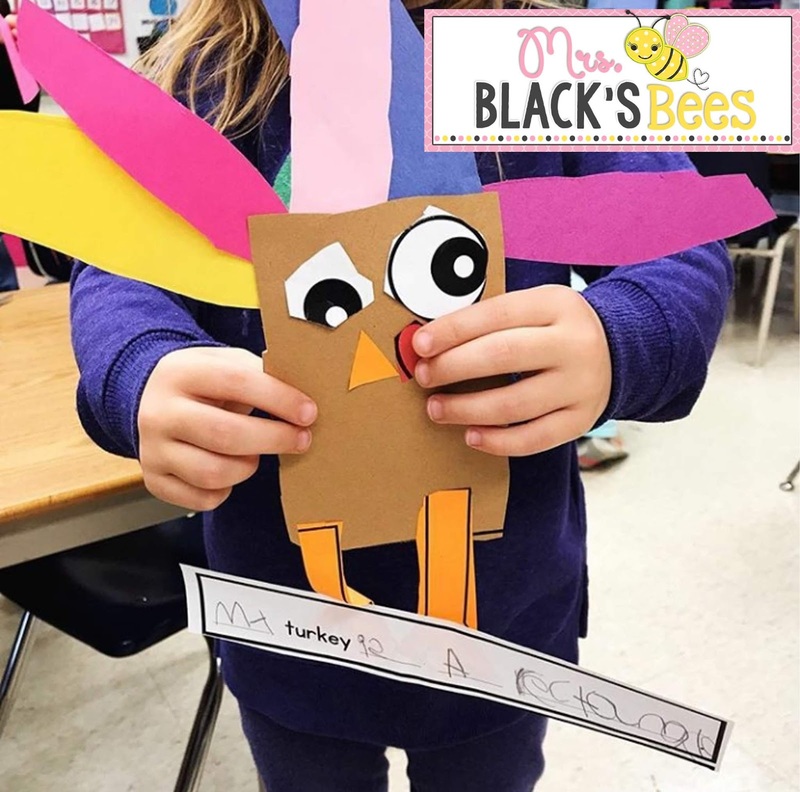 Your students will love these shape turkeys! 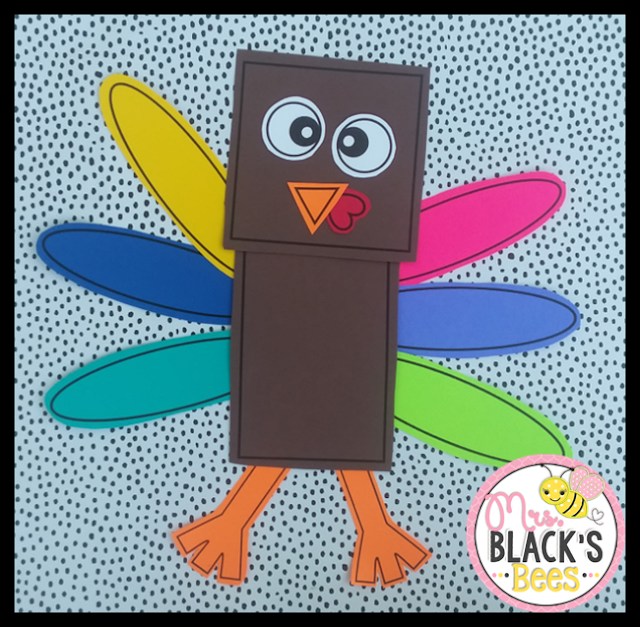 Simply copy the patterns onto colored paper and have your students cut and paste to create their unique turkey. 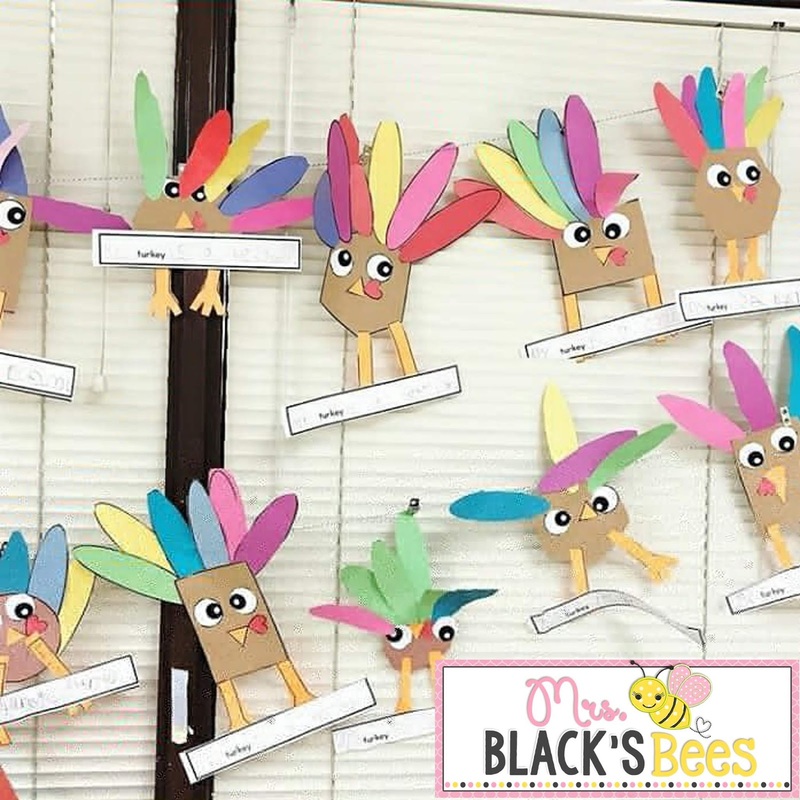 These turkeys make an adorable display! 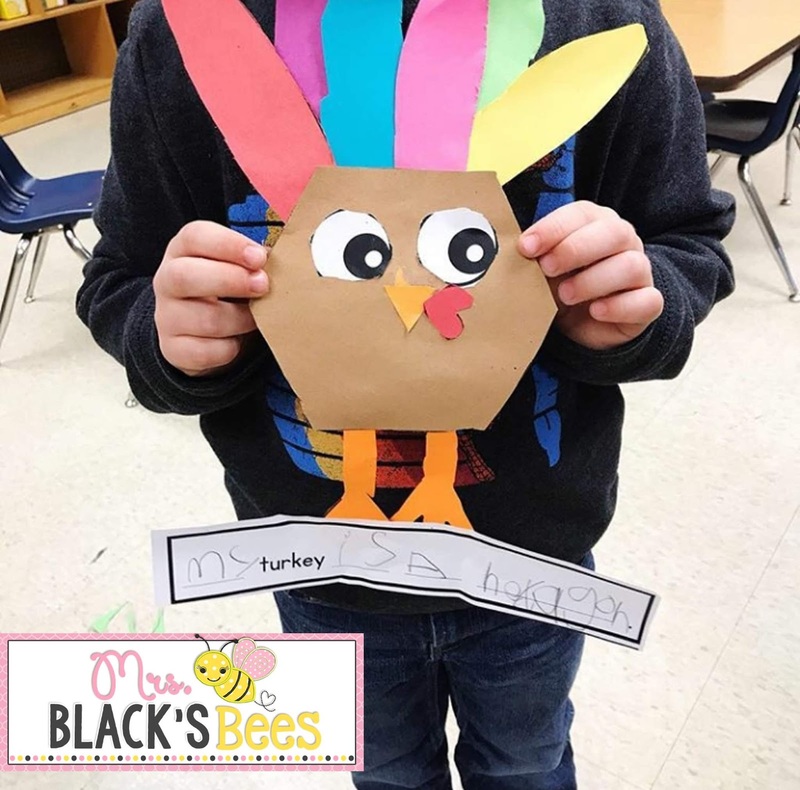 Just look how cute these turkeys turned out! Natalie from Natalie Lynn Kindergarten added a simple writing piece and made these with her Kindergarten class. 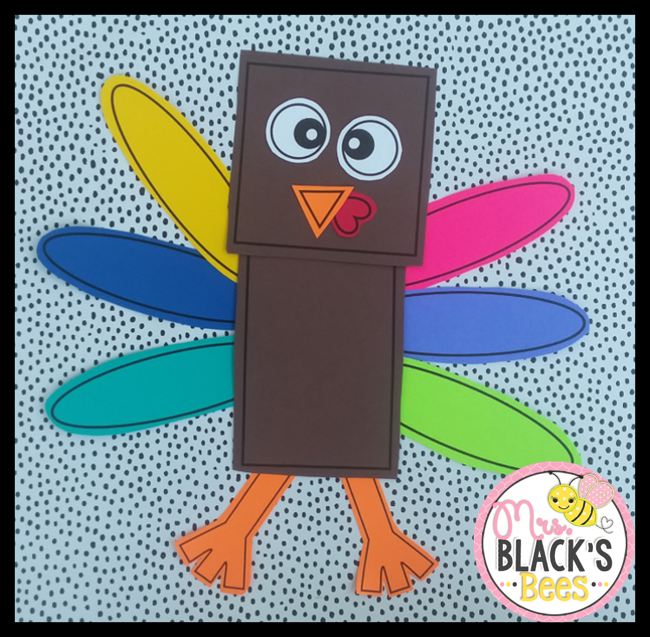 You can grab this Turkey Shape template in my store here.